When you have alumni from all over the world, as Wittenborg University of Applied Sciences does, it can be hard to stay in touch and keep track of graduates’ professional progress. Which is why Wittenborg - now in its 30th year - has teamed up with Graduway, a company which builds powerful alumni platforms by utilising existing social media networks. Interested? 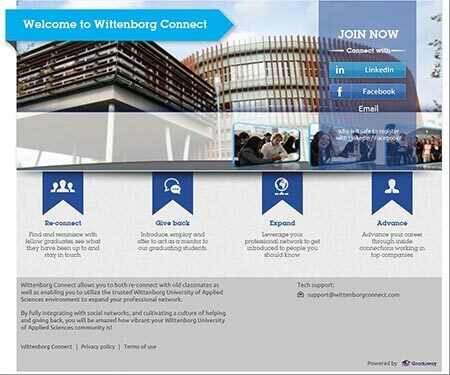 Then check out the new alumni platform, Wittenborg Connect, which is now live. 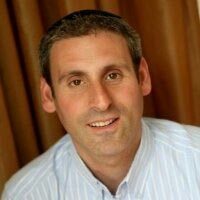 Graduway’s European sales director, Daniel Blog, said: “We build alumni platforms to improve engagement between alumni and their institutions, but also between each other.” It leverages Facebook and LinkedIn – among others – to connect past and present students with each other and the school. In other words, Wittenborg Connect, not only helps alumni expand their professional network in an exclusive and official space, but also allows them to reconnect with other Wittenborg graduates. All this without asking its users to integrate yet another social media network into their daily lives. It is an excellent way to stay in touch with classmates and lecturers, spot professional opportunities, and keep up to date with the latest developments at Wittenborg.